A mild take on a Mexican-inspired dish will excite your residents' taste buds just enough, without being too spicy. 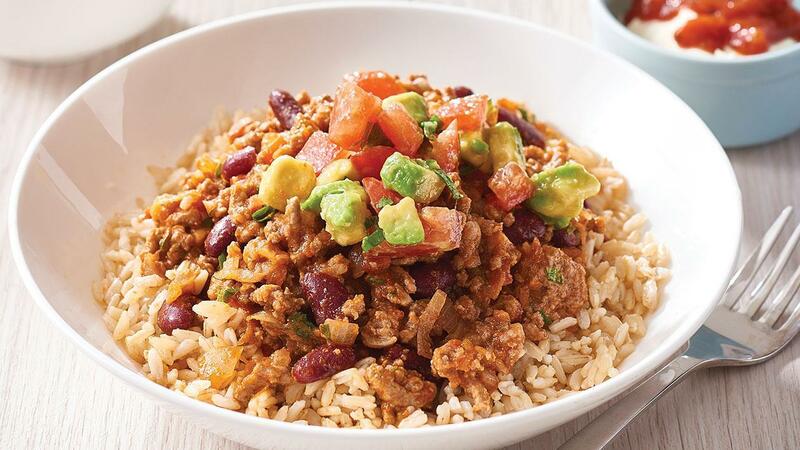 KNORR Mexican Chunky Salsa Mild GF and KNORR Pronto give a rich tomato flavour to the mince. Serve with a dollop of sour cream and extra KNORR Mexican Chunky Salsa Mild GF. Add a little chopped coriander to the avocado and tomato salsa if desired.